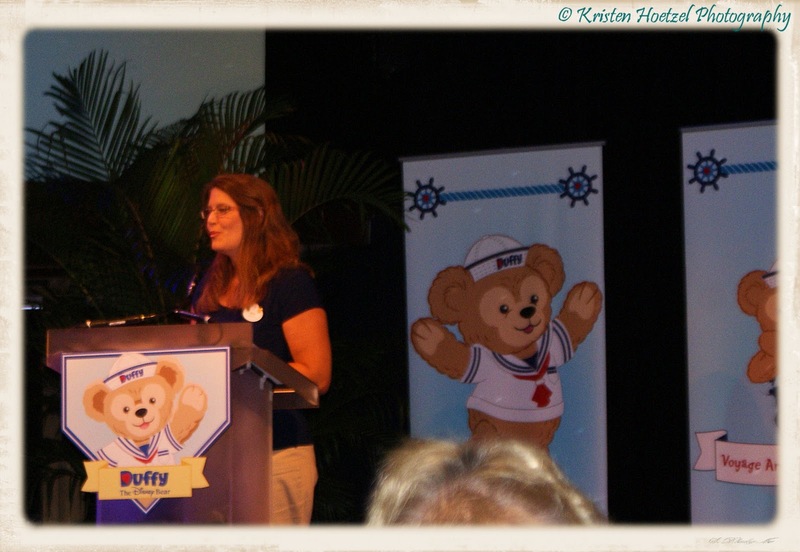 On Saturday, September 18, 2010, Walt Disney World Annual Passholders were treated to a sneak peak of Duffy, the Disney Bear. As Annual Passholders, my husband and I were able to attend the event at the Odyssey in Epcot. All kinds of details (that I'm about to share with you) were presented. Duffy is actually 6 years old. He is the bear that Minnie made for Mickey to take on a voyage so that he wouldn't be lonely. 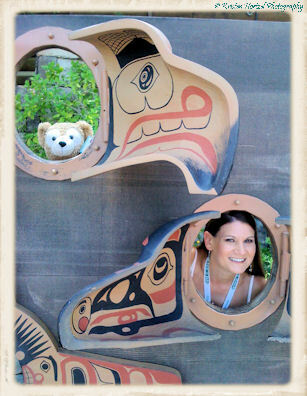 Of course, since he sails around with Mickey, Duffy is a world traveler who loves to experience new adventures. His favorite foods are apples and bananas. 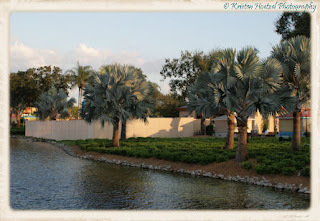 Maybe with more travels around the World Showcase, he'll discover some new ones. During the presentation, which lasted about 45 minutes, we heard all about Duffy, viewed his upcoming merchandise and were given the opportunity to purchase our very own Duffy. Of course, I couldn't resist buying one. Duffy is currently in Disneyland Tokyo and has been a huge hit. Because of this success, Disney has decided to bring him over to Walt Disney World and Disneyland. Duffy will start appearing at Epcot on October 14 and will have his own "meet and greet" section; located on the way to World Showcase West. It's currently under construction. 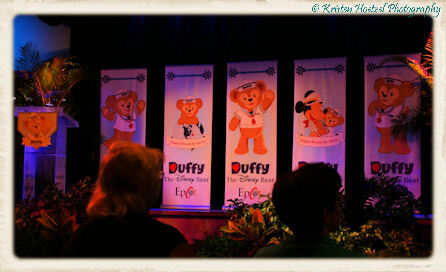 During the first year of Duffy's "meet and greet", you'll receive an exclusive "I Just Hugged Duffy" sticker. Traders, located across from where they are building Duffy's Welcome Center, will now be called Everything Duffy and will sell Duffy in two different sizes (17' and 28') as well as his outfits. Included in this group will be his sailor suit, special "celebration" outfits, special "occasion" outfits and outfits from every country that is represented in the World Showcase. For those of you looking for even more Duffy merchandise, coming straight from Tokyo will be keychains, magnets and zipper pouches. 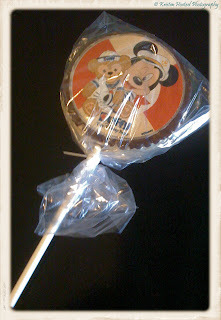 Future merchandise will include Limited Edition Duffy mouse ears, pin sets and Vinylamation. 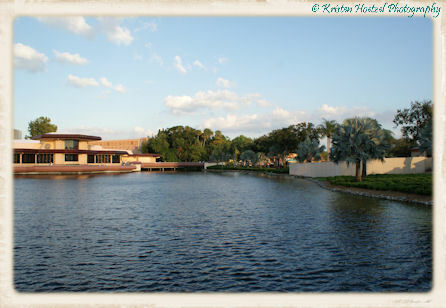 These items are expected to launch in February and March of 2011. If you are like me and are into food and beverage; Rice Crispy treats (which Annual Passholders received upon arrival), chocolate cake, molded popcorn buckets and beverage mugs will also be available. 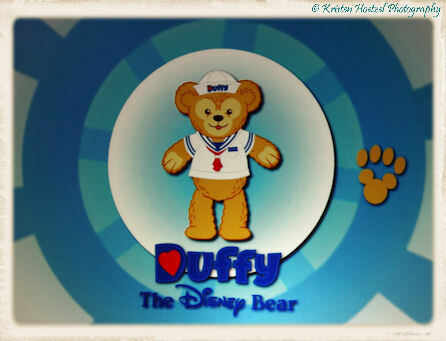 In Epcot restaurants, you'll find Duffy placemats for kids with activities. Kidcot will have Duffy shaped masks that children can color and receive a special Duffy stamp in each country. 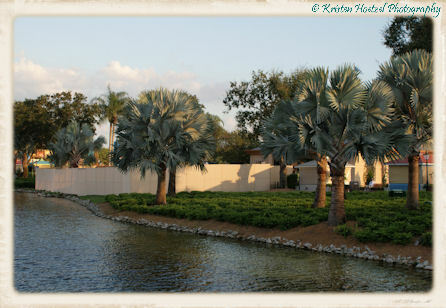 Resort guests will be able to watch Duffy cartoons on resort TV. Duffy will have his very own float this year at the Walt Disney World Christmas Parade and soon to come will be an official Facebook page just for Duffy. 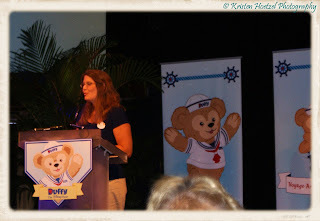 Last piece of news, Duffy (and his sailor outfit) will be available on the Disney Cruise Line ships. However, no on-board "meet and greets" have been announced as of yet. By the way, if Duffy looks familiar to you, there is a good reason. 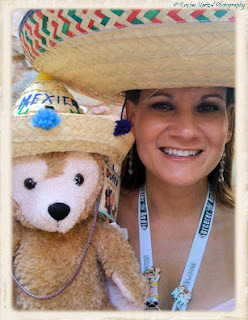 Duffy is not really new to Walt Disney World or Disneyland. 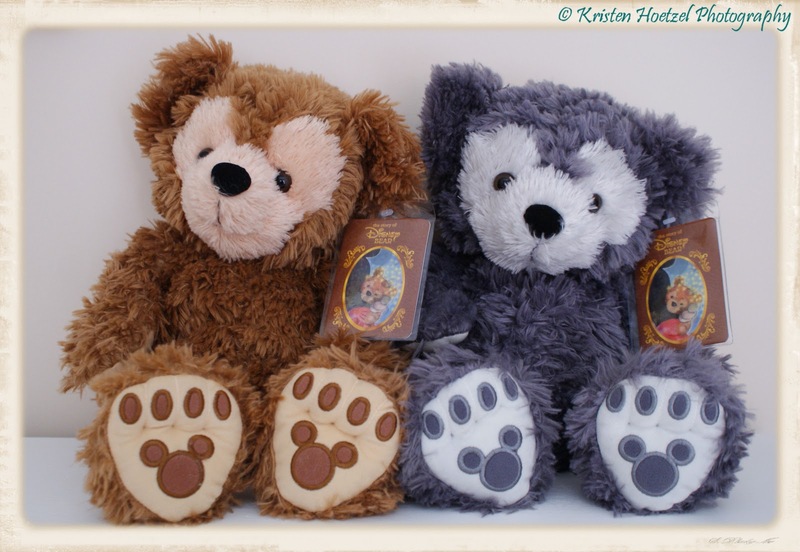 He was launched in the early 2000's as just "The Disney Bear" and came in a variety of colors. I have him in tan, my sister's is grey, and I believe that he also was available in brown and beige.